that is packaged with others in a group in a standard dual in-line package (DIP). The term may refer to each individual switch, or to the unit as a whole. This type of switch is designed to be used on a printed circuit board along with other electronic components and is commonly used to customize the behavior of an electronic device for specific situations. 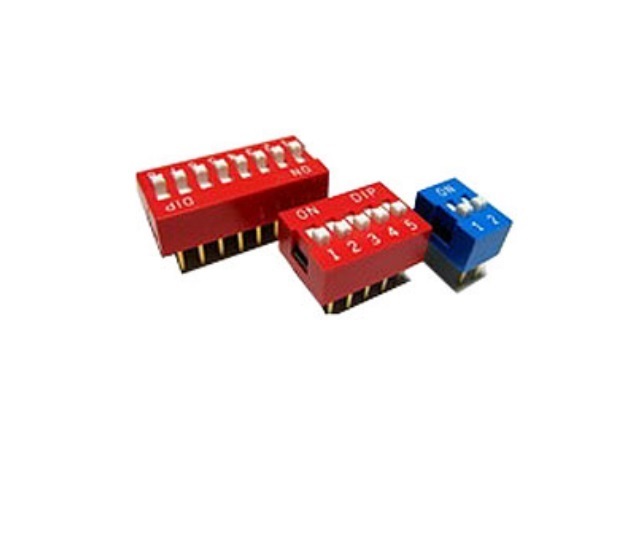 DIP switches are an alternative to jumper blocks. Their main advantages are that they are quicker to change and there are no parts to lose.